The Christmas goose can make a comeback to your home this holiday season as a chocolate centerpiece of substantial proportion. Will the chocolate Christmas goose complement or replace the chocolate Easter bunny in your home? 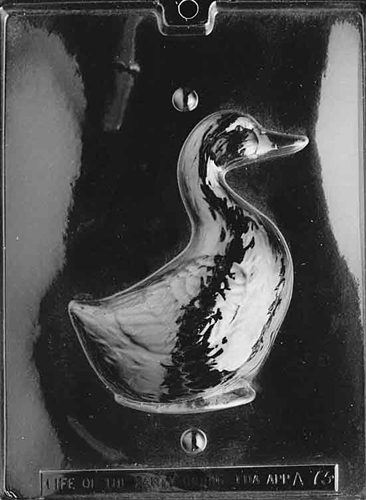 3D Goose Mold - Front pairs with Back Mold to complete the 6" tall whole bird.